Can Captain America just come out already? Why do we have to wait? Alas, it’s not this week. 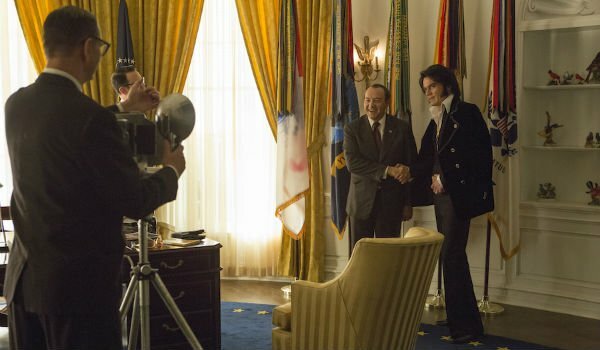 Get ready for Elvis & Nixon and The Huntsman Winter’s War. This movie might be fine but I almost couldn’t get passed a very simple thing: neither Kevin Spacey nor Michael Shannon look anything like Richard Nixon or Elvis Presley respectfully. Now, is this crucial to the overall arching theme and possible success of the movie? No. But considering those are two of the more popular figures in American history, you’d think there would be a little more effort to make the leads look, you know, like the real dudes. Because remaking fairy tales is still kind of the rage, we are treated to another installment in the world of Snow White. Does anyone care? 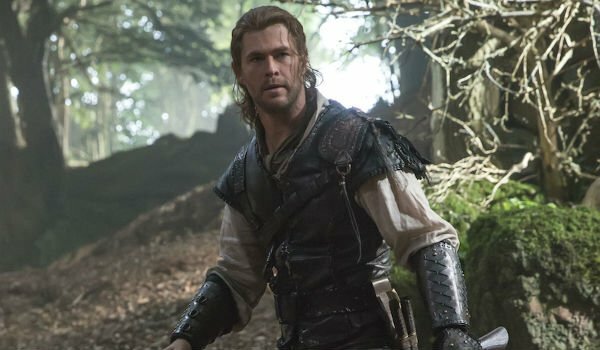 I didn’t think so until I looked at the box office numbers for the first in the series, Snow White and Huntsman (48%). It kind of did great which goes a long way in explaining why there is a sequel coming out. Which of my predictions do you think will be the closest? Overall, a strong week from the Rotten Watch with two out of three predictions hitting the mark. First off, I had a head start with The Jungle Book (Predicted: 99% Actual: 95%) so it’s tough to take too much credit here. The film crushed it with critics who praised both the directing work from Jon Favreau and the lead Neel Sethi. There was also a great amount of love for the special effects especially when it came to pulling off the talking animals which is never an easy feat. All in all, this could have gone a completely different direction, but they appear to have taken a classic novel and eventual Disney cartoon and made the live action something uniquely its own. Meanwhile Criminal (Predicted: 34% Actual: 26%) was right in range on the other side of the spectrum. I could tell this flick had a ton of issues right from the start considering the trailer just didn’t seem to line up in anyway with the tone of the film. Everything about what was happening on screen screamed boilerplate action flick. And yet the trailer attempted to pull on heartstrings with a love story. It didn’t meld together in the two minutes sneak peek and doesn’t seem to have had any more clarity with the full run. Critics panned it and we will all forget it ever happened in two weeks. And finally, Barbershop: The Next Cut (Predicted: 50% Actual: 92%). Wow! Look, I don’t ever like being wrong on a prediction. But if I’m going to miss, I’d much rather miss like this. We are always rooting for good flicks and this one blew it out of the box. There were some critical legs to stand on as the first two films in the series had warm receptions. But this latest topped them both. Critics loved it for being both funny and socially relevant, never an easy pairing. I got killed in my prediction, but who cares? This one’s a keeper. Next time around we’ve got Keanu, Ratchet and Clank and Mother’s Day. It’s gonna be a Rotten Week!